Have you or your loved ones been diagnosed with high blood pressure? It is devastating. 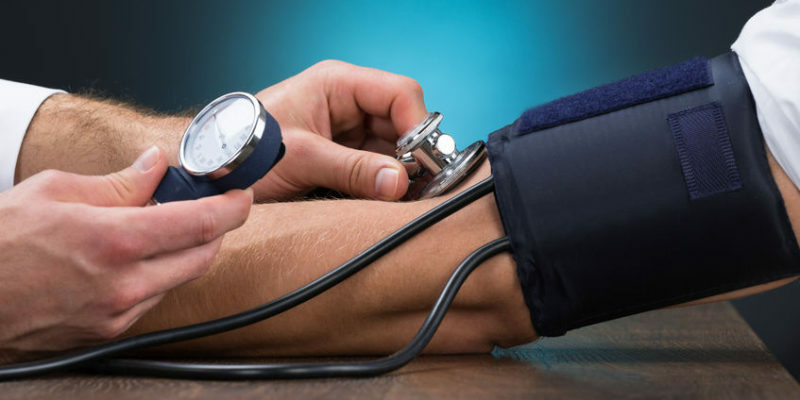 According to the World Health Organization high blood pressure, also known as hypertension is a condition in which the blood vessels have persistently raised pressure. The average blood pressure reading is 120/80 mm Hg. The top number is called systolic, and the bottom name is called diastolic. If your high blood pressure is above average, consider seeing your doctor. Your doctor will advise you on ways of managing high blood pressure. Hypertension is either essential or secondary. Essential hypertension refers to high blood pressure whose cause is unknown. Secondary hypertension refers to high blood pressure whose origin is known. However, high blood pressure is manageable. Check your waistline. As weight increases, your blood pressure often increases. To handle high blood pressure, get your body mass index (BMI) between 18.5 and 24.9. Losing weight is one of the most effective ways of controlling hypertension. Even losing little pounds consistently, can lower your blood pressure. It does not end there; any increase in weight may be detrimental to your health. So, stay fit. For every cigarette you smoke, it increases high blood pressure and other heart-related diseases. Quitting smoking can restore blood pressure to normal. Quitters may live longer than those who continue to smoke. The chemical on tobacco has an effect even to those around second hand smoke. Studies show that children brought up around second hand smoke has higher chances of getting hypertension compared to those brought up around nonsmokers. If you have to take alcohol, drink in moderation. Even more, drinking too much can raise your blood pressure. In other words, stop drinking alcohol altogether or reduce your intake to 1 drink a day for women or 2 drink for men. In addition, alcohol can also interfere with the effectiveness of some medicines. We are living in hard times, and life has its challenges. It’s important to take life easy and avoid stressful situations that can raise your blood pressure. There are many ways of handling stress. These may include; taking a walk, swimming, reading a good book, listening to good music or talking to friends. You can always choose what works for you. Try to plan your day starting with the most critical tasks. If you have issues at work or home, try to solve them amicably. By exercising, you put less pressure on your arteries hence lowering your blood pressure. Regular, consistent physical exercise can reduce blood pressure. Reducing salt intake tends to lower blood pressure. Cut consumption of processed meat, pizza, canned soup, chips as these tend to be excessively salted. Also, avoid adding salt to already cooked food. • Use fresh meat rather than canned meat. • Choose cereals that are low in sodium. • When cooking, use spices and herbs to taste hence considerably reducing the amount of salt in your food. Monitor your blood pressure at home regularly. Your doctor can advise you how often to do this. Home monitoring enables you to know whether your high blood pressure is in check. You can also visit your doctor for regular checkups. Eating a well-balanced diet can lower high blood pressure up to 11 mm Hg. Select foods that are low in fat and cholesterol. • When shopping, read food labels to ensure that you are sticking to your diet. This also applies when you are dining out. • Consider keeping a food diary to monitor what you are eating. The diary will show what you are eating, how much, and when you ate. • Boost potassium. Fruits and vegetables are the best sources of potassium. To manage high blood pressure, have it monitored regularly. Uncontrolled high blood pressure can lead to serious health complications including stroke, heart failure, heart attack or kidney failure. Friends and relatives can be supportive in this journey. For example, they can take you to the hospital. You can also join support groups of people with a similar condition. The group can give you morale for managing high blood pressure.